Every day when I get dressed I don’t feel like I can leave the house until I accessorize. Some people can’t leave the house without make-up, for me it's jewelry. An outfit isn’t complete until I’ve added the final touches. My shop is fully of fresh accessories to complete your look! DISCOUNT CODE: type in OHSWEETJOY15 for 15% off your order! Mountain Wags is a local business that I'm really excited to share with you! Mountain Wags is a small & affordable dog walking company based in Denver, Colorado. How fun is that? 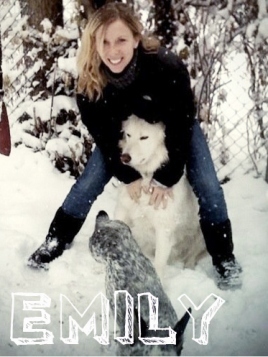 Here's a bit about the owner, Emily. I’m originally from the Southeast but moved out West 16 years ago. My first stop was Montana, and then Boulder, and finally Denver. I have been in the pet industry for 8 years and it has been an amazing experience. I have a background in pet nutrition and I’m also knowledgeable on the best quality products for dogs on the market. I have fostered pups in the past and worked with the Boulder County Humane Society, adopting 2 of my pets from there. Part of the reason I started Mountain Wags was to have the opportunity to work closer with local shelters and rescues by donating a percentage of our income every month to a different organization. I’m an avid hiker, backpacker, and a less avid runner. When not working I try to spend most of my free time in the outdoors on trails with my two pups, Lux and Nelson. Check them out HERE & read more about the crew HERE! Hi y'all (sorry, couldn't help it)! I'm Ana and I blog over at A+M. I blog about being a newlywed, the new recipes we try, the places we visit, decorating our first house and all the fun stuff that is involved in married life! I recently opened a shop with hair pretties for babies, kids and adults! I hope you stop by to say hello! DISCOUNT CODE: type in SWEETJOY30 for 30% off your order! 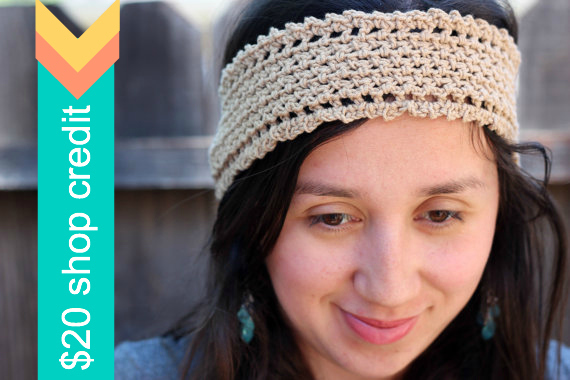 I want one of those crocheted headbands!! from RellasBellas I love this one! and from Ma Cherie I love this! I love the single mint rosette necklace from RellasBellas and the football hat rom Ma Cherie! Love the pig hat and the mint rosette! 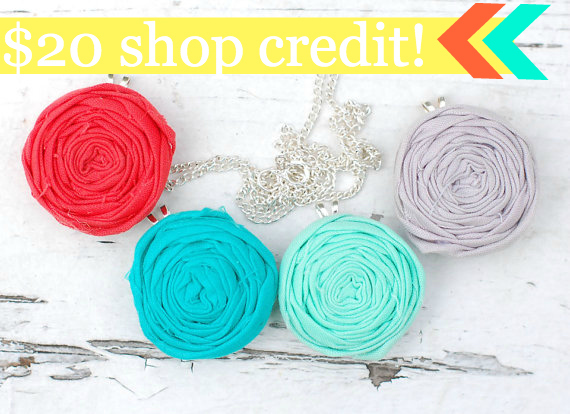 i LOVE the lightweight summer headband and the mint green rosette necklace! SO pretty. Single grey rosette from RellasBellas and the Old Rose headband from Ma Chérie are super fun! the yellow Helena headband from Ma Cherie is awesome! :) i love yellow. I love the baby girl crochet hat with the red flower from Ma Cherie and the turquoise ombre rosette necklace from RellasBellas! My favorite from Rellas Bellas is the Pretty in Pink Ombre Rosette necklace, and my favorite from Ma Cherie is the Helena headband. These are both great shops! Okay, from "Ma Chérie" I love 'Lacy red summer headband' and from "rellasbellas" I love "Turquoise ombre rosette necklace". So fun! Their shops are so cute!! From rellas bellas i would choose the mini rosette earrings, and from ma cherie i would choose the helena headband! I love the mint necklace...swoon! the single rosette necklace from rellas bellas & the Helena headband from ma cherie! I love the Minnie Mouse hat from Ma Cherie and the Turquoise Ombre Rosette Necklace from rellabellas! I love the Mint Green Fabic Rosette Necklace from rellasbellas!